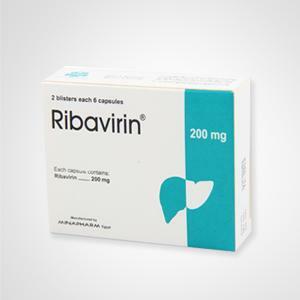 Pack: Ribavirin® is available in a box of two strips, each strip contains six capsules. Antiviral; in cases of Herpes simplex, Herpes zoster, respiratory viral infections & Measles. Adjuvant therapy with Interferon alpha in cases of HCV patients. In CH-C patients who are not candidate to Interferon therapy. 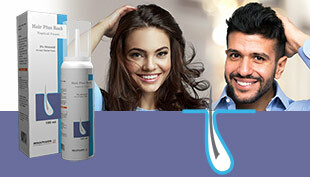 Ribavirin® is a nucleoside analogue with anti-viral activity against a number of DNA and RNA viruses. 1. Leads to decreased intracellular pools of guanosine triphosphate, thereby indirectly suppressing synthesis of viral nucleic acid. 2. Results in the synthesis of RNA with abnormal 5’ cap structures which, in turn leads to inefficient translation of viral transcripts. 3. Has a direct suppressive effect on viral polymerase activities. 1. Chronic hepatitis C with compensated liver disease in combination with interferon  2-a. 2. Cases where uses of interferon are contraindicated for reasons related to the patient. 3. Cases of Herpes Zoster, Herpes Simplex, Viral respiratory infections and viral childhood diseases like Measles. Dose (according to recent guidelines): 15mg/kg/day. 1. Patients with known hypersensitivity to ribavirin or to any component of the capsule. 3. Men whose female partners are planning to be pregnant. 5. Patients with manifest chronic anemia (hemoglobin below 10 g/dl), severe cardiac disease. 6. Severe hepatic dysfunction or decompensated cirrhosis (Child-Pough class C). 1. The most common side effect of Ribavirin is mild, reversible hemolytic anemia. Anemia associated with Ribavirin is often asymptomatic and can be managed by monitoring of the blood count and serum biochemistry. 2. Treatment with Ribavirin induces small elevations of serum uric acid levels.